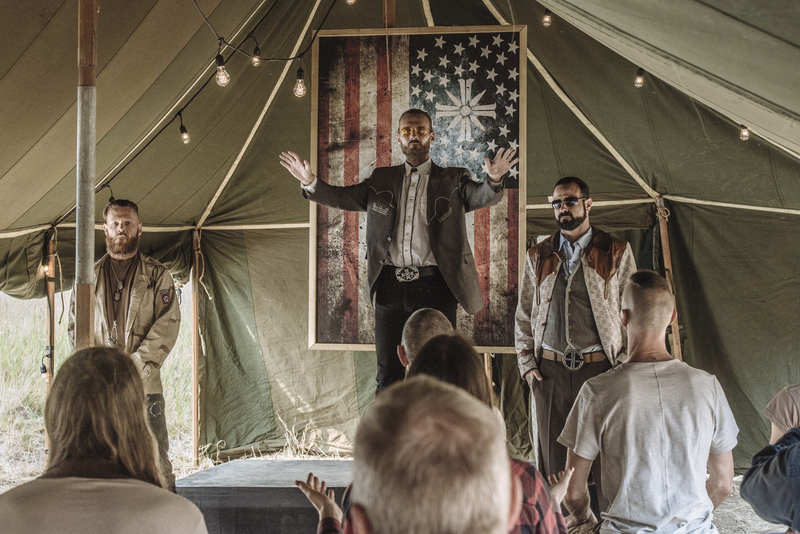 Ubisoft announced today that Inside Eden’s Gate, a Far Cry 5 short film based on the world of the upcoming game, will start streaming exclusively on Amazon Prime Video via Prime Video Direct starting March 5. The short film, made in collaboration with Asylum, features some major actors, including Kyle Gallner and Greg Bryk, the actor that portrays The Father in the Far Cry 5 game. The film takes places prior to the events of Far Cry 5, sending some curious vloggers directly into the path of Joseph Seed and his religious cult. Set in the fictional Hope County, Montana, Inside Eden’s Gate will delve deeper into The Project at Eden’s Gate and its ruthless leader, Joseph Seed. The short film is produced in partnership with Asylum, an award-winning division of prolific feature film studio Legendary Entertainment. In Inside Eden’s Gate, rumors of a fanatical cult called The Project at Eden’s Gate lure three vloggers to the remote Hope County, Montana. As the vloggers follow the leads of missing locals and other strange events, they come face-to-face with Joseph Seed, played by the same actor as the in-game version of the cult leader, and the rest of the fanatical doomsday cult. Produced by Asylum Entertainment, Inside Eden’s Gate features Greg Bryk (A History of Violence) and Kyle Gallner (American Sniper). Tony Key, senior vice president of marketing and consumer experience at Ubisoft talked briefly about expanding Far Cry 5 beyond the game. “At Ubisoft, we always strive to build worlds and narratives that actively engage our consumers both in and outside of our core gaming experiences. Our partnership with Asylum Entertainment provided a unique opportunity for the team to work with top-tier acting talent in Greg Bryk that bridges the consumers’ experience from the short film to the game.” You can check out some screens from the film in the gallery below. A trailer for Far Cry 5 Inside Eden’s Gate isn’t yet available, but you can watch the Far Cry 5 live action trailer now, which uses many similar scenes from the film. We had the chance to watch Inside Eden’s Gate last week and will have a review coming soon. A prequel novel to Far Cry 5 was also recently released. It follows Will, a trusted member of the cult that begins to question its motives and see the truth behind The Project at Eden’s Gate. Far Cry 5 releases on March 27.